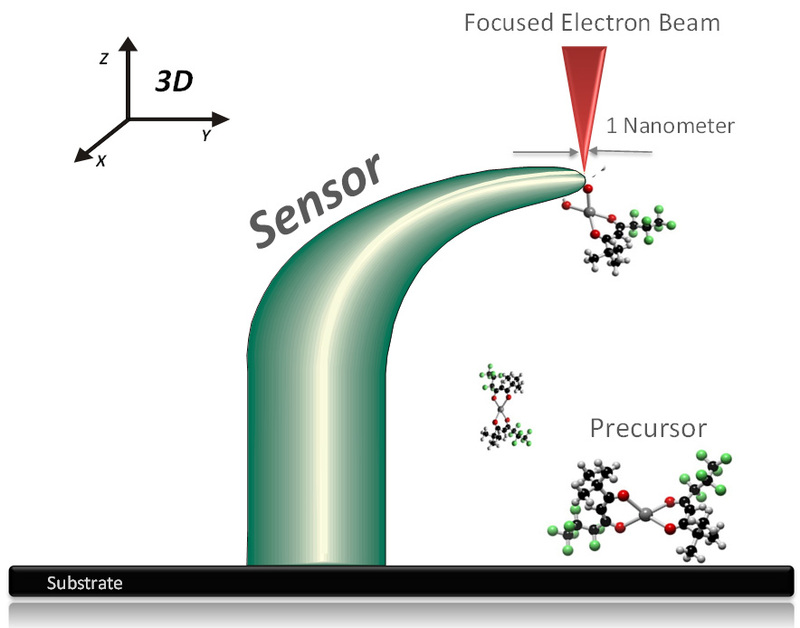 nano3DSense is a new generative (“bottom-up”) manufacturing technology, which enables seamless 3D printing on the true nanoscale of microelectronic components, such as force, pressure and strain sensors, onto customer-specific material substrates. 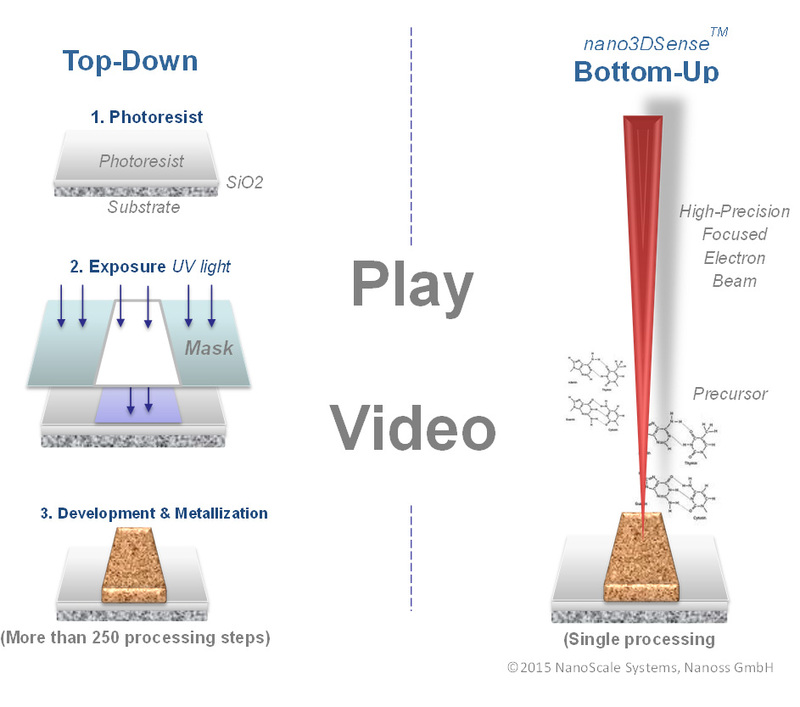 In contrast to the classical semiconductor approaches used in cleanrooms (“top-down”), with maskless nano3DSense no error-prone multi-step lithography technologies or costly cleanroom processes are needed anymore. Unlimited freedom in sensor design for all three dimensions. Unlike traditional (top-down) methods in cleanroom environment, our patented nano3DSense manufacturing process completely avoids photo mask lithography and other silicon processing technologies. This way, we can not only eliminate more than 250 complex multi-step processes in the manufacturing of sensors and simplify the production effort. Using unique rapid prototyping capabilities, provided by nano3DSense, the complete cycle in the development of new product generations can be incredibly customized and accelerated as well. This guarantees tailored solutions and maximum profit for your application even in the case of small series production.